Enhanced Abilities: Black Dwarf has upper level super human strength, durability and endurance. Body Armour: Black Dwarf's skin is unbreakable and provides him with a high degree of protection from physical and energy attacks. 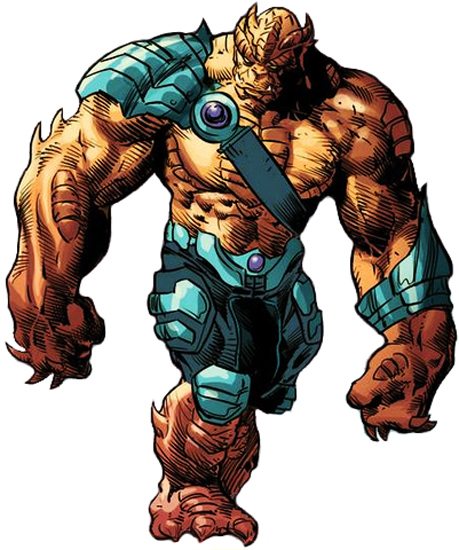 Black Dwarf is a member of Thanos' Black Order, being the powerhouse of the Mad Titan's army. When Thanos targeted Earth as the next planet he would raze, Black Dwarf was sent to Wakanda to bring it to heel.